A new Leads area in the Sitemgr, and eDirectory now saves leads and allows advertisers and sitemgr to respond or forward them. 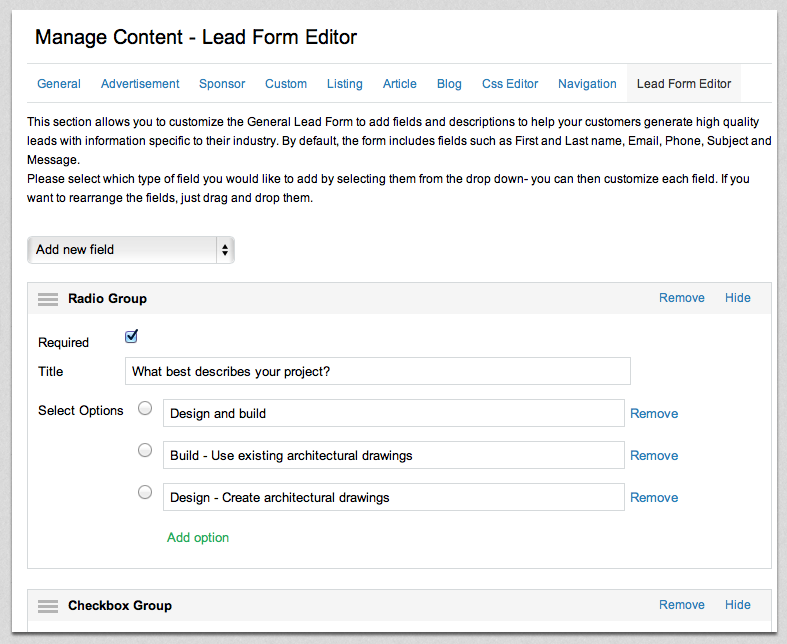 Capability to customize questions on a lead generation form, so the form can have questions like “tell us about your project? what is your budget? what is your timeframe?” etc. Schema.org structured data markups, which allows Google to display ratings, price range or date for listings or events on it’s results pages. And much more…. Visit our demo at www.demodirectory.com or download the full 10.2 changelog here. Contact sales@edirectory.com or call us at +1 703 914 0770 x1 to request an upgrade. Version 10.2 is a homerun! If you have been on the fence about buying or upgrading, now is the time to do it (so that you can deduct it on your 2013 taxes). It is great to know that big things are planned for 2014. Integration with iDevAffilaite or built-in affiliate program will be a huge plus. I was thinking the same thing. If there was a way to have an affiliate program to reward people for spreading the word, it would be great.